Test out a few FuzziBunz or add a few more diapers to your existing stash with this OneSize Six Pack from ClothDiaperKids.com. Choose from BOY colours, GIRL colours or NEUTRALS. The pack is on sale for $146.95, which works out to $24.49 per diaper. Select Fuzzibunz are also on special, 5-10% discounted for the month of May. ClothDiaperKids.com is an Alberta-based online baby store selling FuzziBunz cloth diapers and other green baby products. Many of their products are either Canadian made or made by Canadian WAHMs, in their effort to help as many Moms as possible stay home with their little ones. Shop this deal at www.ClothDiaperKids.com. 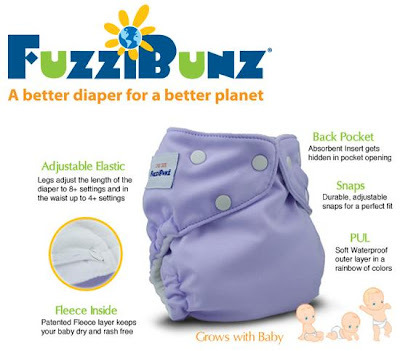 0 Response to "FuzziBunz OneSize Six Pack Starter Kit Sale at ClothDiaperKids.com"